The MEDENUS gas pressure regulator type R100 ensures a constant outlet pressure – regardless of the primary (inlet) pressure – when the gas usage varies and ensures a quick pressure regulation when the flow rate abruptly changes. 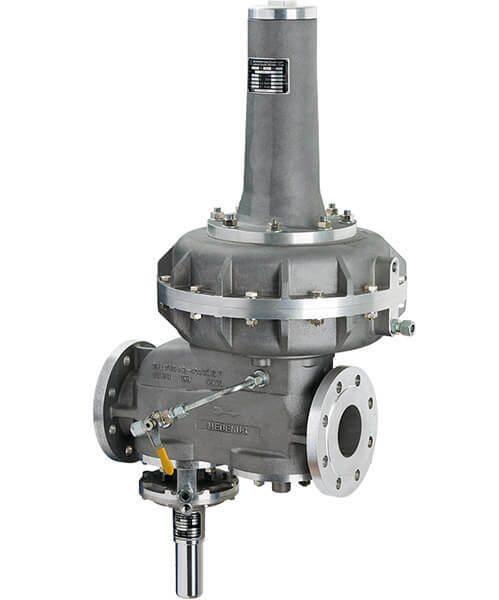 The gas pressure regulator R100 is suitable for gases in accordance with DVGW Code of Practice G260/262 and all other neutral and non-corrosive gases (others upon request).The R100 is available with flange connections DN50 to DN200 and working pressure up to 8,0 bar. All gas pressure regulators are certified by DVGW and CE. 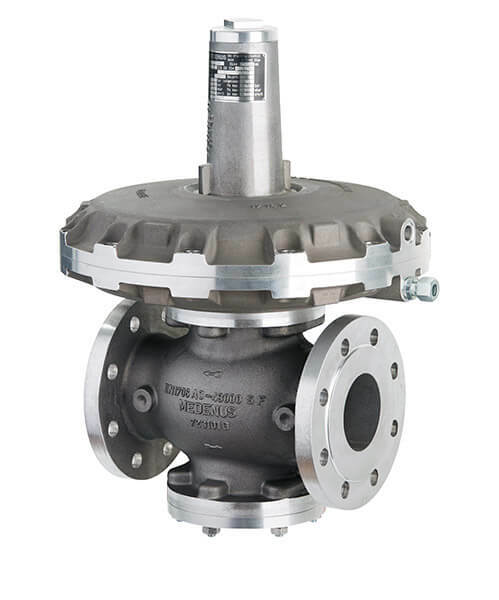 The MEDENUS gas pressure regulator type RS251 ensures a constant outlet pressure – regardless of the primary (inlet) pressure – when the gas usage varies and ensures a quick pressure regulation when the flow rate abruptly changes. The inbuilt safety shut off valve ensures a safe shut off if the pressure is too high or too low.